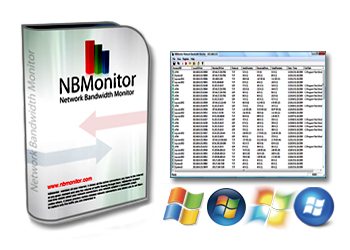 NBMonitor Network Bandwidth Monitor tracks your Internet bandwidth (upload and downloads) usage, monitors all your Internet, it shows all the active connections you have to the Internet at any given moment and also the volume of traffic flowing through them. Nsauditor – Network Security Tools Suite, more than 45 network tools and network utilities. ShareAlarmPro – Advanced All-In-One Network Access Control and Folder Monitoring Software! BlueAuditor - Scan Bluetooth network and Monitoring Bluetooth devices!